A trip to Washington, DC for business a few years back included a visit to the Children’s Museum. It was or is interactive and fanciful. I do not usually respond to fanciful, but I kept thinking of things to do later with children. Or with adults who remember being a child once. 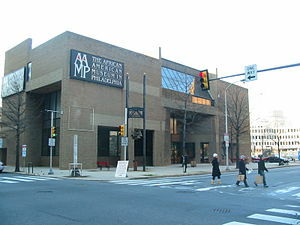 The new African American Museum has now opened as a part of the Smithsonian Museums. I am eager to see those exhibits. Look around your neighborhoods. There are a number of history museums that never get recognition. They may not even be called History Museums. In a small Holly Springs, MS historical society, we found an impressive collection of documents, photographs, and diaramas. We wished for unlimited time to search through these uncollated materials. The subjects I would search for were not, I am certain, on anyone else’s agenda. Were there photographs of the areas in out of Holly Springs showing what my ancestors life was like? I have seen advertisements on line of the Talbot brothers who may have had a connection to our family. At least we are giving them the credit. The Crumps were very interesting and definitely had a big part in our lineage. They would have been in periodicals of their time. It is a big puzzle with bits and pieces turning up unexpectedly. Sometimes. I look at a document I have in my files and see something important I missed. The more you use the internet for information, the more becomes available. It is most frustrating and valuable. I just got one of those hint leaves ancestry.com puts out. They had found the passport and family information of my stepmother’s first husband! I had his name and a marriage certificate by last year online, but this new information was revealing! He had been in World War I, was an engineer, worked overseas a number of years AND was an Ethiopian. Her roots start out with an Irish grandmother and an number of relationship very diverse as early as 1900. If we knew our personal history, would things be different? Perhaps. The ability to add video into your website or blog brings a new dimension to communication. Music and animation was out of reach for most. It took training, accessibility and money. A company or editor stood between the artist and his or her audience. It was a way to help or discourage. How wonderful to have free or low cost equipment from online companies. Some of the videos and eBooks reveal the lack of skill of the writer/producer. Others are quite expert by any standards. Learn-and-go brings to market a wider knowledge base. If you have no interest in ‘the doing’, you can be a consumer of what is available. The ‘Like’ button and ‘Comments’ encourage more varied subject matter and support companies.